VBS – put us to the test – When Will We Cry? Tuesday. Last day at Limocitos. 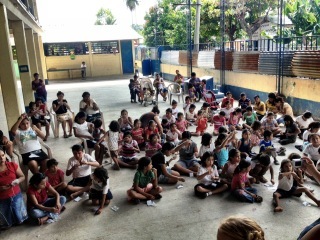 We held VBS at the school. The children are a bit more hyper today. We had a good day. The team shared the gospel along with salvation bracelets. 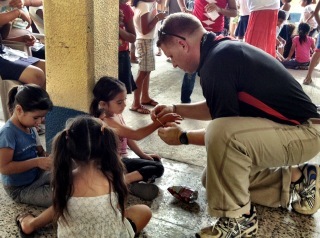 Pastor Tony helps the children with their bracelets. 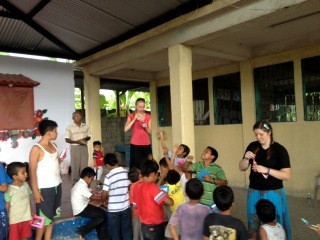 What will 300Q or $36.00 get you in Guatemala? Some where around 150 ice cream cones. 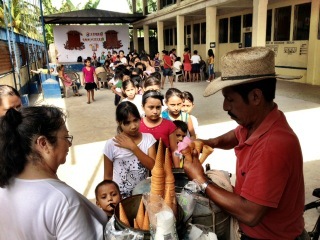 Rosa keeps a sharp eye making sure the children each receive one.